Former Chicago Bears Football Player, Sports Broadcaster. A. It was really about being the best broadcaster I could be, and having all the presence in my voice that I noticed in others. This is basically how it happened: When I first started on radio, they told me that Arthur was a broadcasting coach and truthfully, I really didn’t know what that was. I worked with Arthur for two years, but I wasn’t serious about broadcasting at the time and I wasn’t really very committed to my work with Arthur. Then I stopped doing broadcasting for a while. So since I came back to broadcasting I’ve been working with Arthur for two years. And my time with him has ended up being very meaningful, I would say, this second time around. A. Some people know me as a football player. Some as a broadcaster. And some as a husband and father. Arthur Samuel Joseph was the one who made me dig deep and access another layer of me. I am still Curtis Conway but I have a new level of confidence or inner knowing which has propelled me forward in my post-playing career as a broadcaster. About a year and a half ago I did a speaking engagement at a YPO event. After I spoke, people came up to me saying, “You did a good job!” They were pretty pumped about the speech. I really felt prepared, I was doing the Work, and I got the validation from Arthur as well that I really had committed and followed through. I was probably the most conscious of Vocal Awareness that I could ever be at that point and I was pretty excited about it. So, after that, I was like “Wow! This stuff really works.” I was really focused on the Edge and Arc of Sound and such, and it wasn’t just about “Okay, let me just talk.” I just started to take it seriously. That had to be my breakthrough. Q. 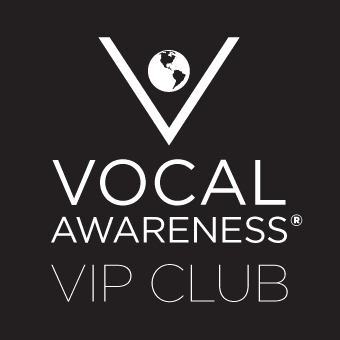 What has been the biggest benefit thus far from working with Arthur and Vocal Awareness? A. If you think about it, who teaches you strength and endurance for your voice? What Arthur did, aside from minimizing my voice feeling strained and stressed at work and on-air, was (and still is) teach me how to be a successful athlete off the field and to use my Voice the same way I used my physical and strategic skills on the field. I never understood the power of Voice and the importance of my Voice until I began my work with Arthur. Growing up in South Central Los Angeles, I didn’t consider my broken English as anything but normal – it’s just the way we talked. And it’s not about being ignorant or dumb, but simply part of this culture I grew up in. Arthur taught me how powerful my word choices can be – at work, at home and just out and about. He wanted me to sound as intelligent as he knew me to be. You know Arthur has this way of giving you confidence. He helped me not just with the sound of my voice but even with what I said and the words I used. Broadening my vocabulary through our conversations helped me to perceive myself as more educated and professional. Arthur says to let people see who I really am. I’m not shy, but, I would say, kind of laid back and reserved. Arthur helped me in many ways to have more confidence in situations other than football. Now, when I have something to say, I don’t necessarily hold back. I can just be present and communicate with people.